Matt Callison’s unique ability to blend Chinese Medicine with Sports Medicine for over 25 years is demonstrated by his excellent reputation. This is particularly evident in his educational program, the “Sports Medicine Acupuncture Certification Program,” which is attended by acupuncturists worldwide. He has over 20 years experience in cadaver dissection that has helped him to further broaden and deepen his educational program for the acupuncturist. Mr. Callison has had a clinical practice for over 26 years and is well known for developing innovative and successful treatment protocols for musculoskeletal injury. He has published many articles including a clinical study on acupuncture and tibial stress syndromes (shin splints) as well as an article on Sports Related Muscle Tension Headaches in the Journal of Chinese Medicine. Furthermore, Mr. Callison is well-known for his work with professional athletes. 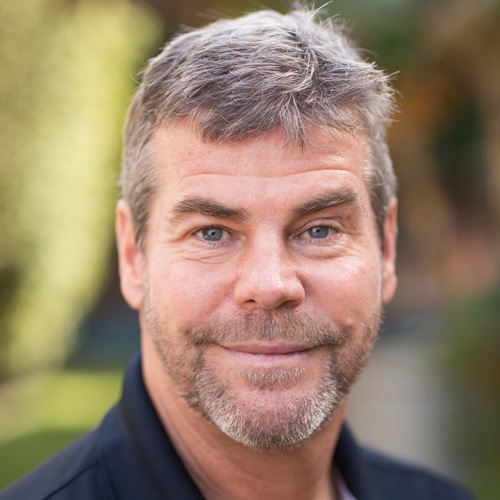 Mr. Callison is the creator of the Motor Point and Acupuncture Meridian Chart as well as the author of three publications—The Motor Point Manual, Motor Point Index and, in press, The Sports Medicine Acupuncture textbook. Matt Callison earned his Bachelor’s degree in Physical Education/Sports Medicine from San Diego State University in 1985. He worked in the Sports Medicine field at Alvarado Sports Medicine clinic in San Diego and Scripps Hospital in La Jolla, CA for six years. In 1991, Mr. Callison received his Master’s Degree in Traditional Oriental Medicine from Pacific College of Oriental Medicine, where the class he developed, “Treatment of Orthopedic Disorders,” is still being taught. Mr. Callison continues to guest lecture in many acupuncture doctoral programs across the United States. As Clinic Supervisor for Pacific College at the University of California’s San Diego Sports Medicine RIMAC Center, Mr. Callison guides acupuncture interns in providing Sports Medicine Acupuncture to their athletes.